An unexpected duet between Lady Gaga and Joseph Gordon-Levitt. I’m in love with this take on, “Baby, It’s Cold Outside.” The switching of gender roles was nicely done. In California, “cold outside” will most likely be the somewhere in the 60s and what better way to warm up than with RAMEN! 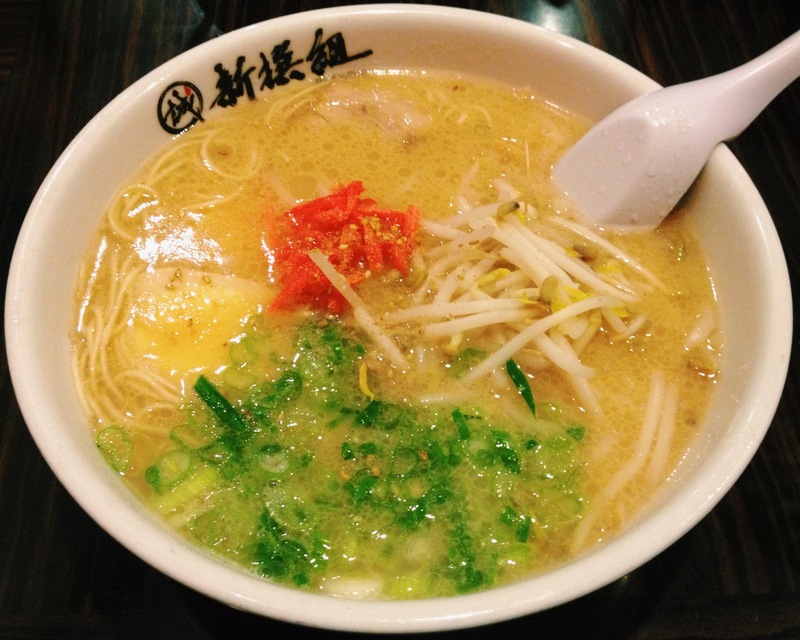 At 1906 reviews on Yelp, Shin-Sen-Gumi Hakata Ramen is the most reviewed restaurant for ramen in Orange County. Since What’s Up Men opened in Fullerton, it’s enough to satisfy my cravings without the drive. However, there are perks to the drive when it comes to Shin-Sen-Gumi. You can choose a half-size ramen, but why would you? How firm you want your noodles, how you want your broth, and specify what toppings you want in your ramen. If you like spicy, opt for spicy miso in your broth. It makes a great broth even better! I’ve never ordered the noodles firm until yesterday, but I found I like them better. I enjoyed them so much, I even ordered a second helping of noodles, another first for me. I felt like I looked like a pig when my cousin-in-law denied the offer of more noodles. Even after the second round of noodles, a part of me still wanted more, but I could barely move. I also recommend the takoyaki, but make sure you get there after 6 p.m. because appetizers are only offered for dinner. I was excited I made the drive. I forgot how good the ramen is at Shin-Sen-Gumi. Having a guest in town usually gives me the added boost for driving further distances than usual in California. Traffic is real here. Now quit reading this and get yourself a delicious bowl of ramen!